This month’s issue is abundant with new creations and provocative design that makes us contemplate the future. Emerging new practices and the cross fertilization of disciplines, both old and new, are paving way to tomorrowland. Traditional aesthetics are being challenged while existing crafts are combined with fresh processes. Ideas of the future involve material explorations, high-tech, smart innovation, as well as low-tech, analogue creativity. What seems extreme now will be a reality next season. Get inspired with the August edition! Worldwide — People and the planet are at the heart of many designs today. The necessity of developing an environmentally and economically sustainable culture while balancing human needs is essential. Physical and mental health are addressed in furnishing and fashion specifications. The body is a muse. And boundaries are pushed further than ever. Read Jennifer’s overview of this edition and see 70+ carefully selected images within. Worldwide — Here are three new talents bringing fresh concepts to the scene. Their works demonstrate that textiles can play a big role on our changing environment. 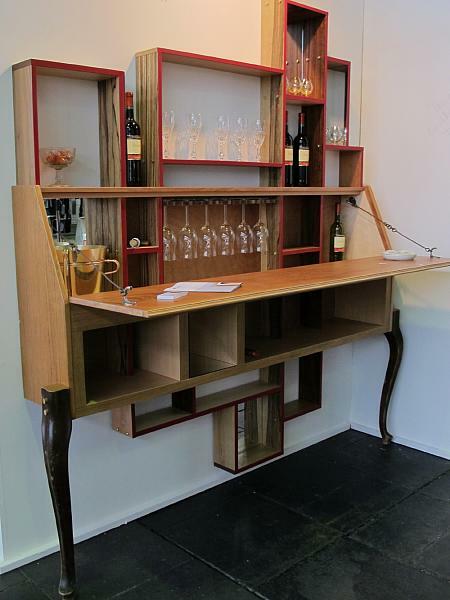 Refreshing it is, to come across such promising designers and the ideas they are injecting into their projects. It goes to show that bright minds can use textiles to have a positive impact on both us and our shifting environments. There is hope after all. Berlin — Svenja and Larissa have certainly pushed the boundaries with their recent showing of Emotional Dialogue. These interactive surfaces will make you think differently about textiles and digital design. Specifically, nonverbal communication is being explored with six prototypes that converse through body movement and facial recognition. Svenja and Larissa are thinking and creating outside of the box. What next? Worldwide — There is more than meets the eye when it comes to some of the creations here. Far be it from us to say that today’s chairs entering the market are ho hum. They are actually quite intriguing. From integrating personal stories, experimenting with new processes, looking at our wellbeing, to just plain interesting seating, you will find it all in this collection of designs we have gathering during our journeys. Have a seat and enjoy! Berlin — Two thousand twelve is the “China Year in Germany”. The project “China New Design – Revisit and Reflect” was the first large-scale collective exhibition of Chinese design in Germany, which incorporated 189 modern Chinese products by 22 graphic, media, and product designers, as well as 109 design-related reference objects. Trendease attended the event and found inspiration in the traditional and modern creations of the Chinese. 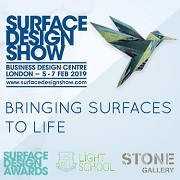 Worldwide — This fresh approach to lighting has been catching on and growing in popularity to create a new lighting experience that makes no waste of the energy it is given. The generation that grew up with glow-in-the-dark stickers just found a more adult way to live with the same magic. What pray tell is the magic behind these glowing curiosities? Paris — As the peak of summer is here some people are relaxing on vacation while others are busy preparing for the Fall 2012 trade show rush due to start later this month. Giving you a special sneak peek of what is to come, here are some highlights of what will be presented in the Bespoke Area this September at Le Cuir à Paris. London — These two cycles can lead to an innovative and earth-friendly type of throwaway culture, creating a new outlook on short-term use and consumption. While fast fashion may not suit some people’s tastes, at least the unsustainable environmental aspect can be taken out of the equation. Young’s chemical-free organic materials and Ana’s Uplastic are a vision of what is possible for compostable, biodegradable, edible, and recycled textiles. Winchester — The Trendease Team has been reviewing what these new talents have to offer and this week we bring you a selection from Winchester School of Art, an institution that has seen its alumni move on to work with companies such as Chloe, Burberry, Liberty’s, Urban Outfitters, Alexander McQueen, Cath Kidston, Mudpie, Cole & Sons, and Colefax and Fowler. It was fascinating to learn about their sources of inspiration as well as their creative techniques, many of which we share with you here. Eindhoven — It seems everywhere we turn these days design and food are becoming more and more interrelated. From iPhones to exhibitions, it is a growing topic that reflects a growing opportunity for creatives. ‘Food Culture: Eating by Design’, demonstrates how designers can aid civilization in making the modifications to its food chain that will be essential in the future and photos from the exhibit can be seen here. 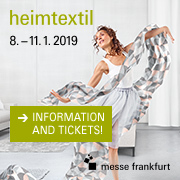 Frankfurt — Here you are invited to see a special preview of the 2013/2014 trends to be presented at Heimtextil next January. In an era where personal manufacturing is on the rise and technology is embedded into everyday life, the Trend Table, this year headed by stijlinstituut amsterdam, has really hit the nail on the head with its forecast. The headline theme is ‘Being’ and we are ecstatic to bring you the highlights.